Wordpress is an amazing CMS or Content Management System that makes creating and maintaining a website really easy. However at times it can cause high resource usage when not optimized properly. 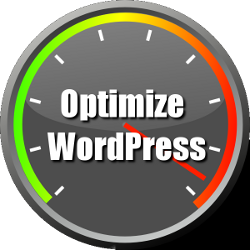 In this article, you'll learn how to optimize WordPress. You could also use the P3 Plugin Performance Plugin to try to figure out which WordPress plugins are the most intensive. Note: Please note that this plugin has not been updated in several years and may no longer work for newer versions of WordPress. You may want to look at alternatives such as the plugins presented in this article. Poorly written plugins and themes which don't hook into the Wordpress generated images often do this, where they just display the original image even though it might appear as a thumbnail. Revisions for products are not enabled by default, but it is possible to add revision support. Thanks for this information, but a note and a question. First the note: Better Delete Revision WordPress plugin referred to in this article has not been updated in three years. And the question: Does Woocommerce save revisions of products? If so, what can delete those revisions? I'm not sure what you mean by "how to do TTFB (time to first byte)" - are you asking how to optimize? There are many approaches. You can improve TTFB by making your front page quick to load. You could also utilize CDN (content delivery networks) to bring website assets closer to your viewers - thereby making it faster to load up your site. Check out this Moz article: Improving TTFB. Others, in this article - Cloudflare, say to not put too much emphasis on TTFB and instead focus on the entire web experience of your site. I hope this helps to answer your question. If you have any further questions, please let us know. A blog that’s both educative and interesting, and without a doubt, you have hit the nail on the head. The problem is an issue that few folks are speaking intelligently about how to optimize wordpress. I am very happy that I have found this during my search.Thanks for sharing with us. I found this post somewhere after i got a DDOS attack. if anyone can check the code for this, maybe it is good it could be added to the Optimize wordpress. Thanks for providing the information! Your post is valuable for our other readers. If you have any further questions or comments, please let us know. Great post! One important aspect to mention is analysis, if you don't know why your site is slow then optimizing your Wordpress site will be based on guessing. Usually a cursory analysis using something like GTmetrix.com (shameless plug) will give you some great tips on where the bottlenecks are. For more serious slow-downs that originate from the web application or server itself, you could analyze system logs or use the excellent (and free) New Relic. Some Wordpress plugins such as DebugBar does similar under the hood analysis for those who can't install modules on their server. Another area that we come across quite often is uncompressed images and scaled images, especially the latter where let's say a 2000x2000 pixel image possibly straight from a digital camera gets uploaded and used its original size (even though it might be scaled down *visually* only). End result? A 5 meg image, when it should be using the thumbnail version of 20k! Besides that, of course there's a wide spectrum as indicated in your post as to why any site can be slowed down. One of the common method that can be employed to enhance the server performance would be to install a web accelerator such as "Apachebooster'. This will enhance the cache, thereby making the site load really faster for the end user.